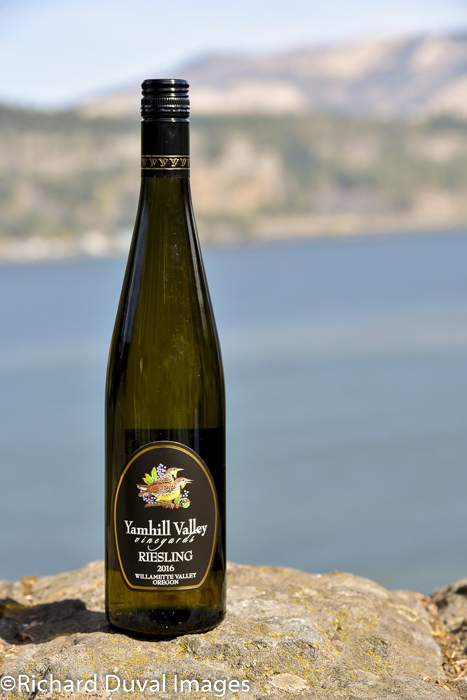 The 2018 vintage signals Ariel Eberle’s 10th anniversary at Yamhill Valley Vineyards, and her recent work has furthered the McMinnville, Ore., winery’s reputation as one of the Pacific Northwest’s leaders in cool-climate varieties. Estate fruit fuels program at this 35-year-old property, and Eberle changed the style of her Riesling in 2016, moving from the highly acclaimed, late-harvest approach of 2015 to more dry, and yet her collaboration with Lynn Griswold balances out just as beautifully. They develop aromas and flavors of Key lime, Mandarin orange and petrol, crafting it dry enough for food at 0.6% residual sugar, yet enticing enough to sip on the patio. Earlier this month, it earned a rare double gold medal via some of the region’s top wine buyers at the sixth annual Great Northwest Invitational Wine Competition.